Under the umbrella of the Ceramics of Italy mark, Edi.Cer and the Italian Trade Promotion Agency ICE are organising the participation of twenty ceramic companies at Crocus Expo in Moscow, 19 of which will be hosted in a collective stand. This will be a major opportunity to promote contacts between the Italian ceramic industry and Russian interior design and decoration professionals. The initiative will be held from 16 to 19 October during Saloni WordWide, which will showcase the best of the home and furnishing sector in Hall 2 of the Crocus Expo centre in Moscow. A collective Ceramics of Italy / ICE stand specially designed by architects Dante Donegani and Giovanni Lauda will be set up in Hall 8. Divided into two areas (A22/B47 and B35/B39) with a total floor space of 250 m2, the stand will feature company corners and a Ceramics of Italy / ICE info point. The industry-leading companies taking part in the initiative are: Appiani, Casalgrande Padana, Ceramica Bardelli, Ceramica Fioranese, Ceramica Lord, Ceramica Vallelunga, Ceramica Vogue, Ceramiche Grazia, Ceramiche Marca Corona, Cisa Ceramiche, Edimax Astor Gruppo Beta, Fap Ceramiche, Fincibec, Keope, Mipa, Mirage Granito Ceramico, Refin, Settecento mosaici e ceramiche d’arte and Simas. 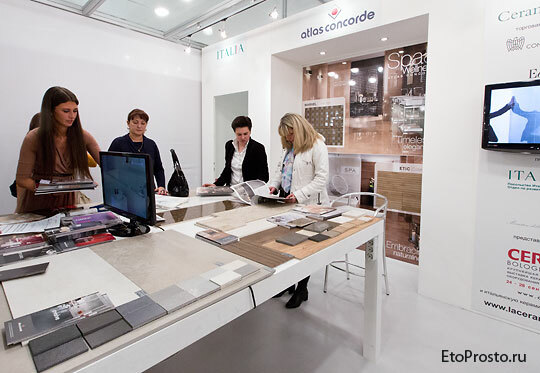 Additionally, Atlas Concorde will be taking part for the first time as an independent exhibitor in an area adjacent to the Ceramics of Italy stand. 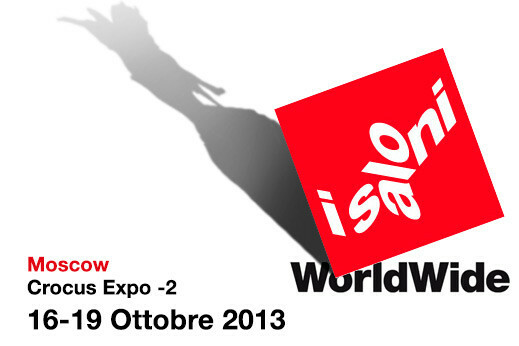 A benchmark event for Russia and the countries in its geopolitical area, Saloni WorldWide will occupy an exhibition space of more than 19,000 square metres and will host 557 exhibitors, including 494 from Italy and 63 from other European companies. The range of products, divided into Design/Modern and Classic sections, will include furnishings and upholstery, lighting fixtures, kitchens, office furniture, bathroom furniture, textiles, surface coverings and furnishing accessories. The trademark for the Italian ceramic industry worldwide. For more than thirty years, the Ceramics of Italy label has been promoting the image and content of the Italian ceramic industry in foreign markets. It stands for tradition, quality, innovation and creativity. 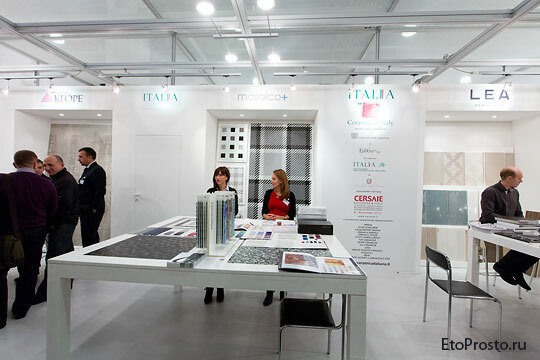 Ceramics of Italy embodies the will of the Italian ceramic tile industry to promote the awareness and esteem of Italian ceramic tiles amongst international users.